Now that it’s coming to the end of my university life (my god how that has flown by), I’m realising the fact that I will have to move back home with my mum until I can find a job to make enough money to rent my own place. Now I’ve spent 3 years living away from home whilst at uni so going home to live with my mum again literally fills me with dread. Not because she’s an awful mum or we don’t get along or anything like that (she’s the best), I just feel like its the time in my life where I’m ready and excited to have my own place. 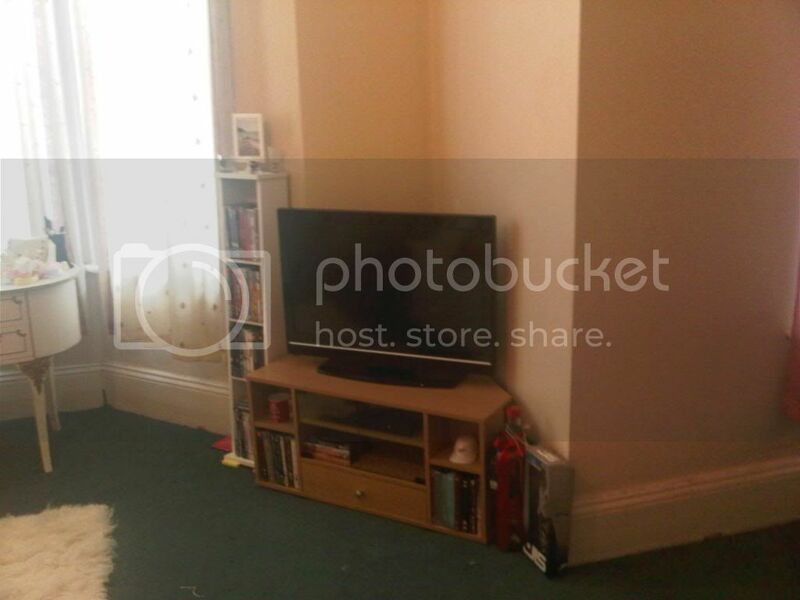 But for now I thought I’d reflect a bit on where I’ve lived at uni. Whilst being at uni, I have lived in 3 different places. 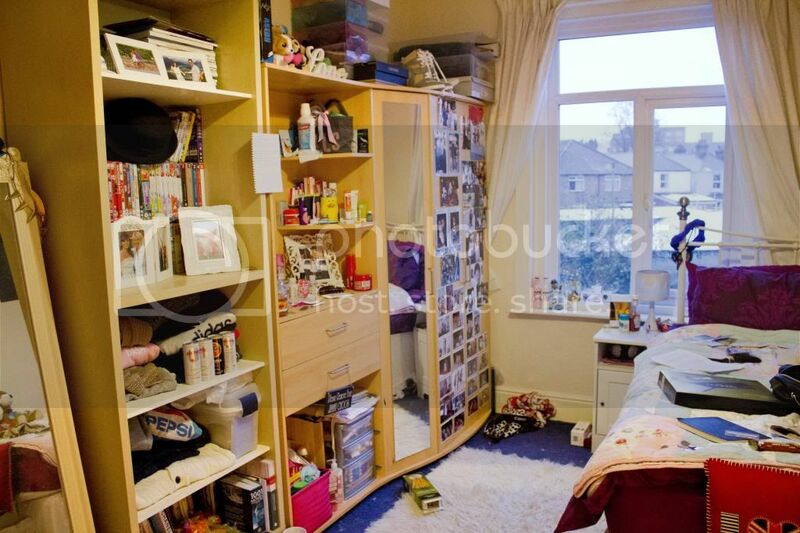 In first year I lived in halls of residence, and in 2nd and 3rd year I have lived in 2 different student houses. Each of these places has definitely been an experience, and if you get the chance to do it, then I would really recommend it, because it opens your eyes to people you wouldn’t expect to live with, and student living really makes you appreciate nice housing when you have it! Looking back over my 3 years, I would have to say first year in halls of residence was my favourite year in terms of living. By the end of the year I kept saying I hated it and wanted to leave, but looking back, it was the best time. My halls were separated into 3 blocks, with around 8-10 floors per block, and 2 ‘flats’ per floor. The number of people in each flat also varied between 7-10 (roughly, I cant remember exactly). I loved my flatmates. Completely different people than I’d ever met before, but all so lovely and fun. 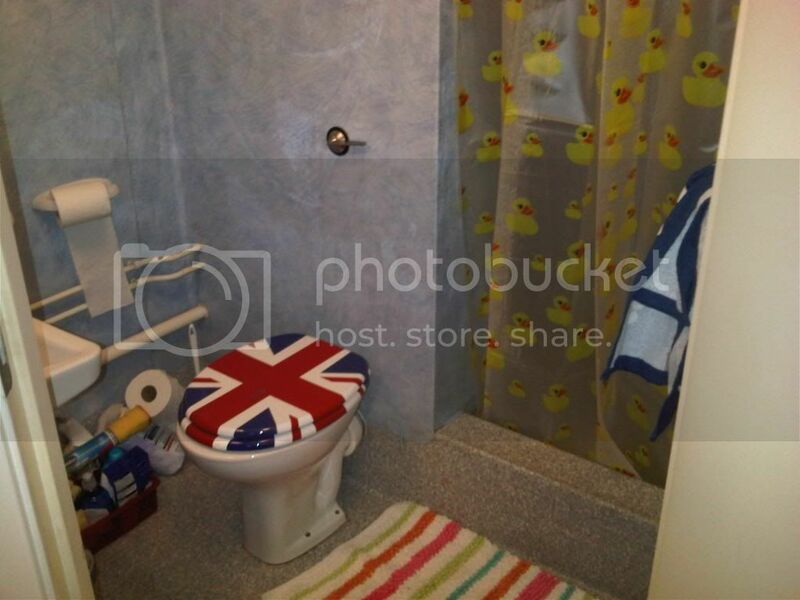 Our halls was good because it had ensuite facilities so I had my own shower, toilet and sink. My flat shared a kitchen, but it was cleaned and the bins emptied daily by cleaners so we were very lucky. 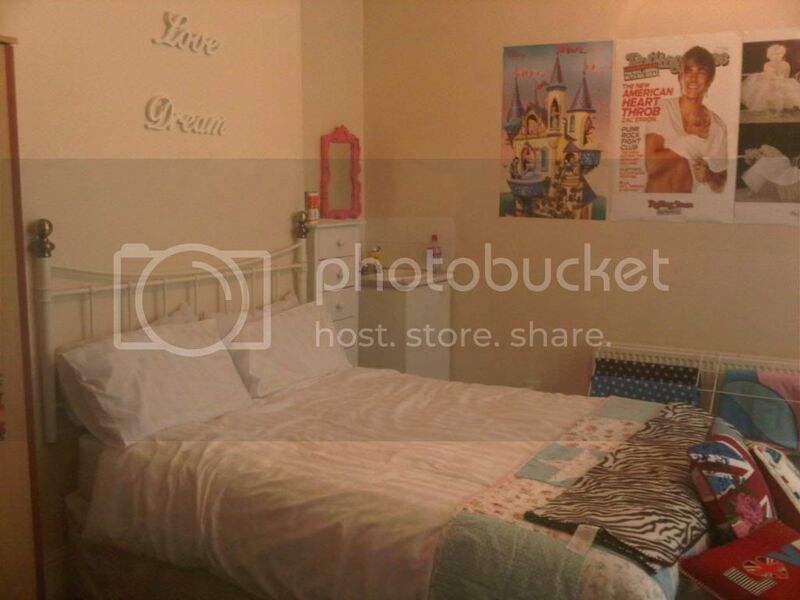 My room was small, but fitted everything I wanted into it. My friends were always around and just across the corridor, nights out were good because we just walked up or downstairs to each others flats, it was secure, theres an almost camaraderie between people that are in the same halls of residence, and it wasn’t too far from uni. I never knew I had it so good. Fair enough there was the bad parts like silver fish (if you don’t know what they are then google it, most students will know haha). But the good parts completely outweighed these in the long run. If you go to uni and have the chance to go into halls, I would highly recommend it. You meet some completely new people, and have an amazing life experience (if you’re anything like me anyway). Second year on the other hand had so much promise and fell way below my expectations. I didn’t want to separate from 4 of my flatmates from first year, so that started us off as a group of 5. Then two of them added two more people to our group, making us 7. Quite a big group to find a house, but we did, an 8 bedroomed one, so we added an 8th person into the mix. 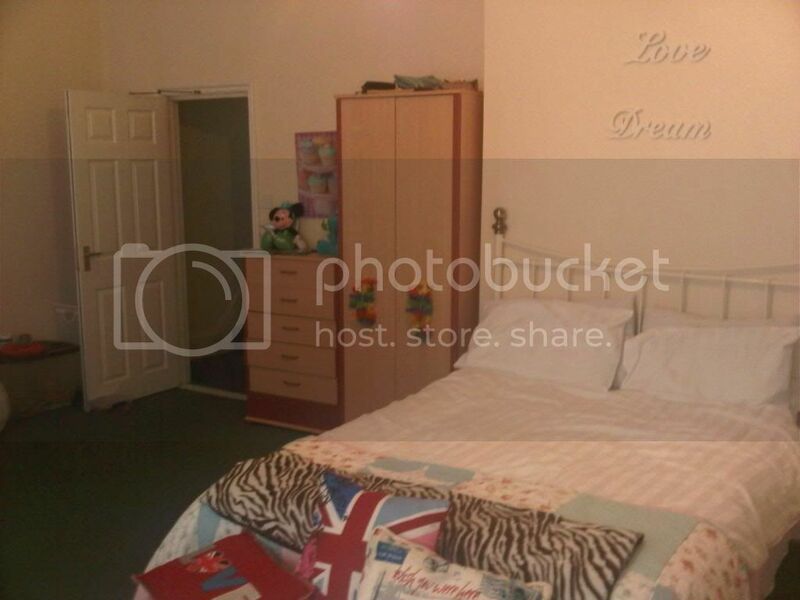 This then ended up being a 9th and 10th as one of the bedrooms had 3 different occupants throughout the year. The house was beautiful, I had the most enormous room you have ever seen for a student, it had a huge garden and was just amazing. My experience there however was not. Due to my room being so huge with ridiculously high ceilings, throughout the entire winter my room was about twice as cold as the rest of the house. Cue me spending my days in tshirts, hoodies, jogging bottoms, majorly thick socks, a dressing gown, a scarf, and fingerless gloves, often all that even whilst in bed. It was ridiculous. 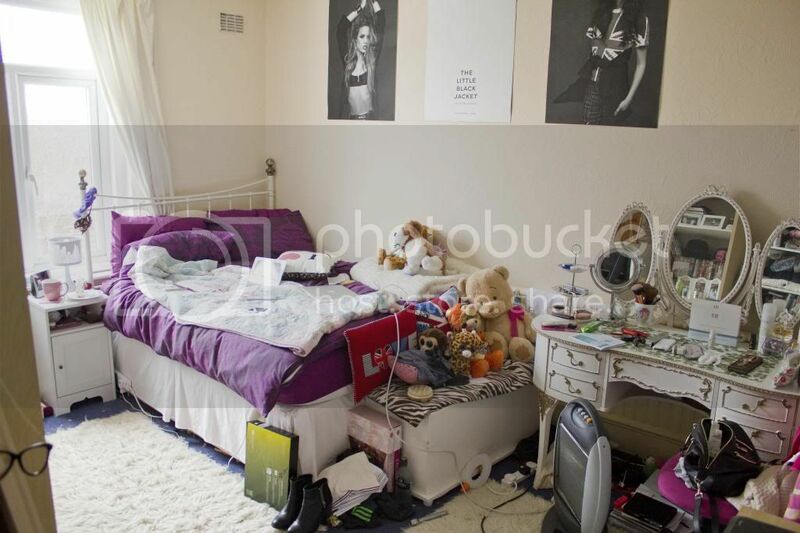 The state of the house was also a problem, it was constantly disgustingly dirty, bin overflowing, mouldy dishes adorning the kitchen counters, dirty plates and mess covering the living room. Not my cup of tea, I’m not the roughing it type of student. I resorted to ready meals I barely had to cook, and by the end of the year a microwave, kettle and toaster in my room. Drugs were also a problem, something I have no time for whatsoever, but I wont go into that too far. All in all, not good. If you’re moving into a student house I would recommend really thinking about who you’re going to live with and if they really are the type of person you can commit to a year of your life living with. Don’t jump in too quickly. I left that house sad and desperate to leave, not something I expected at the start of the year. Also 8 people houses aren’t really a good idea if you ask me, too many personalities clash. Don’t go into a house that big unless you all really get on well, or expect differences of agreement and most likely a lot of mess! 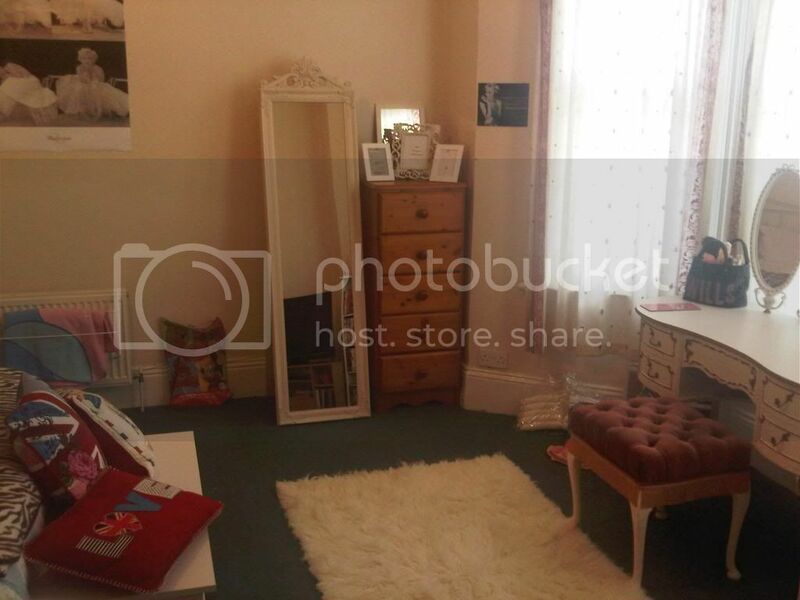 Oh and just as a note, in the pictures below, I added most of the furniture to my rooms, all I was given was a bed, desk, wardrobe, and chest of drawers. 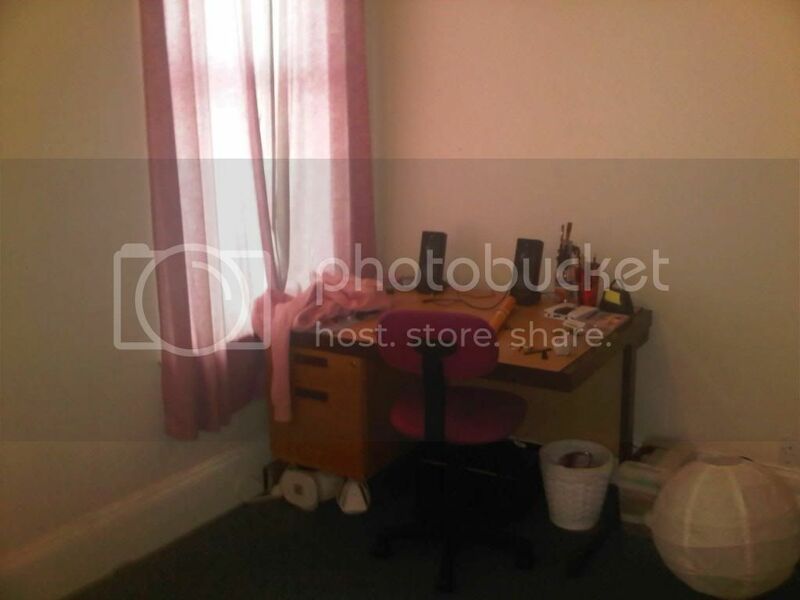 My window and dressing table area in second year, where the mirror and chest of drawers are I actually ended up having a small sofa there instead from about halfway through the year but I can’t find any photos of it! 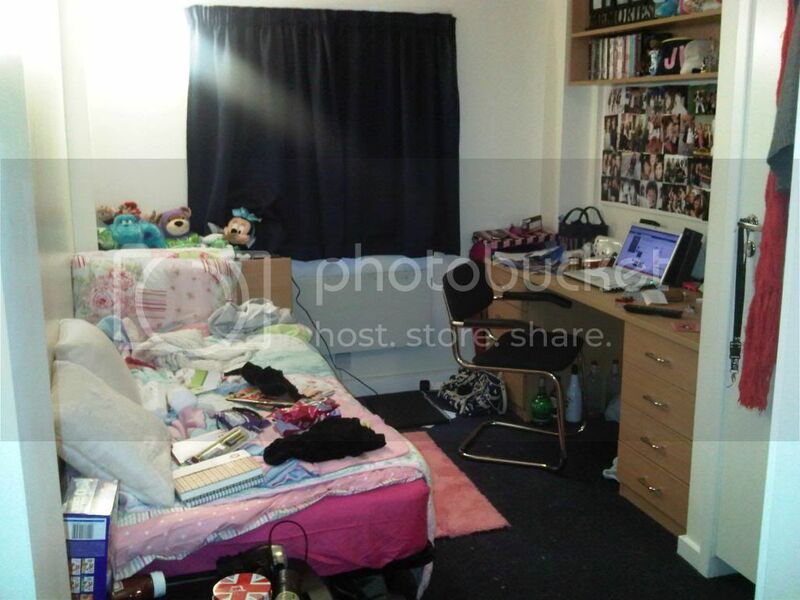 As you can see, my room is second year was ridiculously huge for a student! I had so much in there and I was truly lucky to have such a lovely big room, unfortunately it was just a very unhappy place for me. This third and final year has been a complete turn around for me, I’m in a 4-bed house with one of my original flatmates from halls, my friend from my course, and another guy we found to live with us. Here I am so happy. It feels like a home, not a ridiculous mansion you get lost in like before. Its like a little family, I love my housemates. Moving here was the best decision I could have made. Im not a girls girl that has a million girl friends they can’t live without and spend all their time with, so 2 guys and 2 girls is the perfect mix for me. My room is big and lovely, but not ridiculously big, it feels safe, I don’t dread coming here like I did with my house last year, and I love hanging out with my housemates. My room feels like a room rather than a studio flat! Its also closer to uni and town so thats a big bonus. Overall a good year so far. p.s. sorry for the poor quality of the first photos, they were just taken on my phone. And I know I’m very messy and have a lot of stuff! I decided not to tidy up before I took photos of my room now because that wouldn’t be a true reflection of how my room is everyday haha. 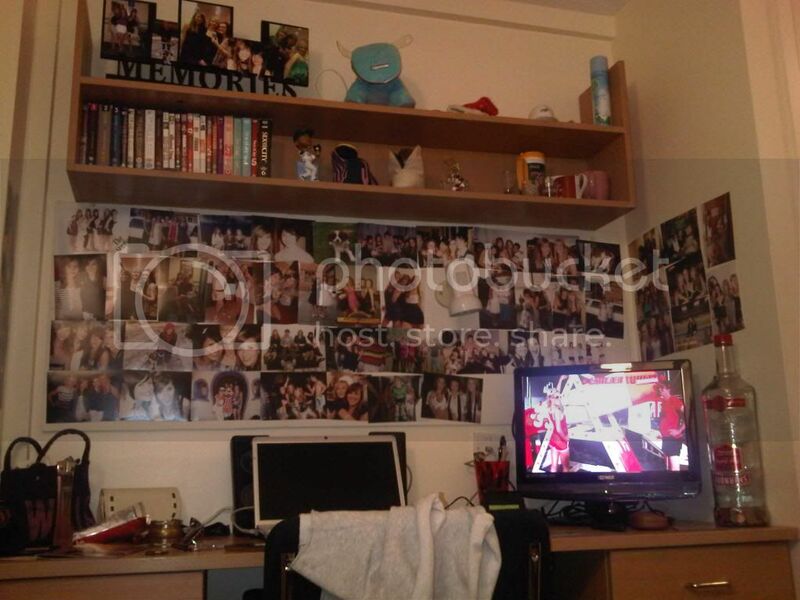 Oh and I like a lot of posters, photos and cuddly toys as you can tell! 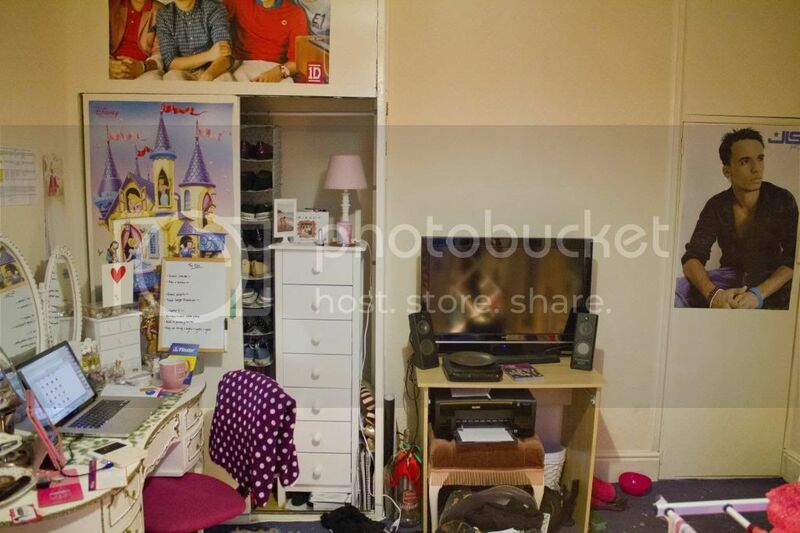 I’ll soon have to grow up and have a mature room so why not pile on the cheesy stuff while I can, because I don’t think my boyfriend will want an Aston Merrygold poster in the bedroom when we hopefully live together in a year or two!